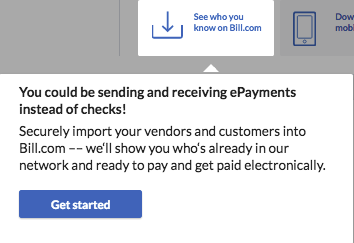 Securely import your vendors and customers into Bill.com –– we‘ll show you who‘s already in our network and ready to pay and get paid electronically. 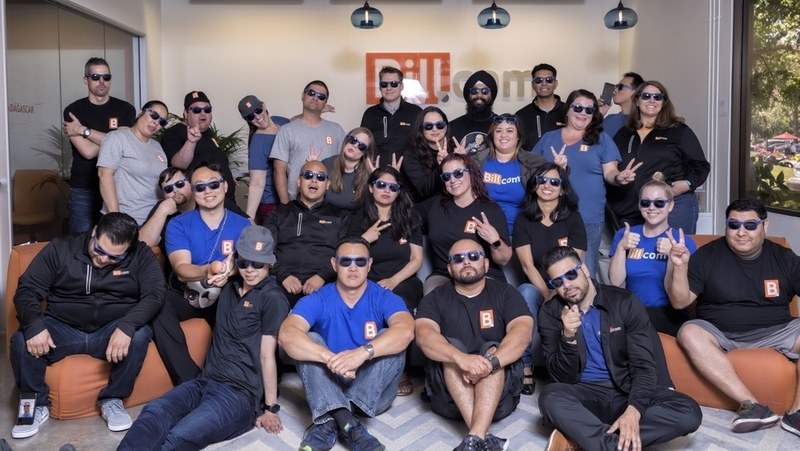 Click Get Started to start importing Vendors, Customer, Bills, etc. 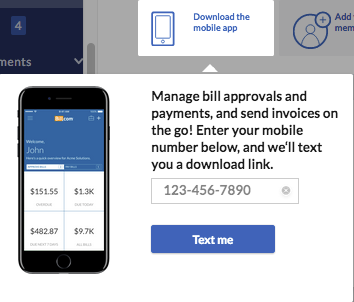 The mobile app provides a simple and secure way to create, review, approve or deny, and even pay bills on the go. A link will be sent to your mobile number to download the app.